Fifteen years ago, Mya Dubois couldn't get out of her small Louisiana town fast enough. Especially after Corey Anderson showed her what heartbreak really was. Now a family tragedy has brought Mya home to Gauthier--and the man she vowed to forget forever. 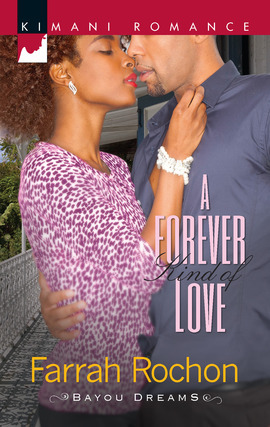 But when memories flame into rekindled desire, Mya is ready to flee again...before Corey discovers her painful secret. In high school, Mya was Corey's girl. Now she's a sought-after Broadway designer who won't give the former pro-baseball player the time of day. Until they're brought together to revive their close-knit community...and their passion is reawakened. This time, Corey isn't letting her get away. Not when he has a second chance to win back his first--and only--love.